Sign up for our newsletter to be notified of upcoming events by email. You will receive a confirmation email to complete the process. 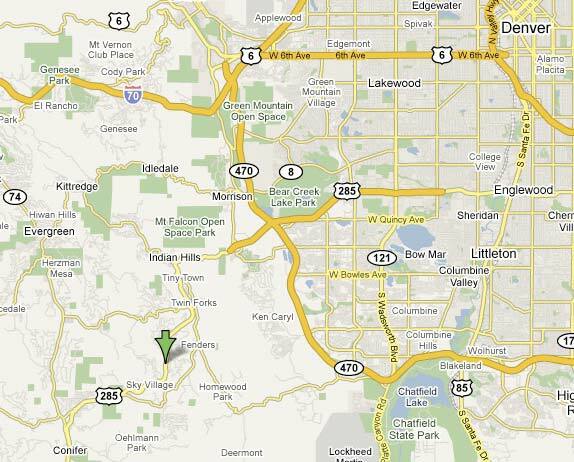 Directions: Starting in southwest Denver at the intersection of Highways 285 and C-470, head south on Highway 285 for 8.3 miles to S. Settler's Drive. There is a fire department on the right. Turn right onto S. Settler's Drive and make an immediate left, then the first right, then left into the parking area.